Bioscience Americas ...Solutions for a Healthier World. Mexico will have multiple clinics and hospitals to service Central and North American patients. 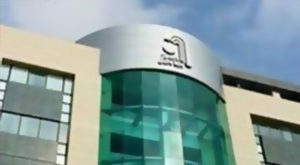 GIOSTAR’s first location in Mexico is at San Javier Hospital in Guadalajara, Mexico. This facility opened for GIOSTAR Stem Cell Therapy patients in July, 2016. San Javier Hospital is a general full-service hospital with a strong reputation for innovation, highly trained doctors and state-of-the-art medical technology. San Javier hospital offers a range of specialized medical services. The hospital has received top recognition such as the Golden Laurel of Quality, a prestigious honor that is awarded to an institution that provides world-class hospital-medical services. San Javier Guadalajara was also fully certified by the Mexican General Board of Health to guarantee quality in health services. Many US and Canadian travelers already come to Mexico for vision or dental procedures. GIOSTAR Mexico will provide the first stem cell clinic in Los Algodones making it possible to just walk across the border to have stem cell treatment for disease or performance therapy. GIOSTAR Mexico will offer a complete clinic with blood analysis, detox, surgical room, stem cell lab, hyperbaric chamber and spa. 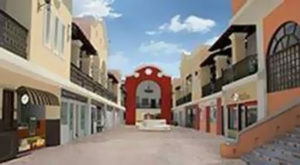 The Medical Plaza will offer 31 hotel rooms, a restaurant, café and coffee shop plus other unique Mexican retail stores. They are all designed to provide a relaxing and private atmosphere for your stay in Mexico. GIOSTAR Mexico will expand its hospital treatment centers with two more locations in Tijuana, Mexico, Angeles and Del Prado Hospitals. Both are scheduled to open in late 2016.